There’s nothing quite like the spicy scent of Christmas, but these days there are increasing concerns over chemicals such as formaldehyde created by room fresheners and scented candles. Why not freshen your house using natural ingredients? Simply simmer your favourite fruits, herbs and spices in a little water. Citrus fruits give off a very good fragrance for this purpose. 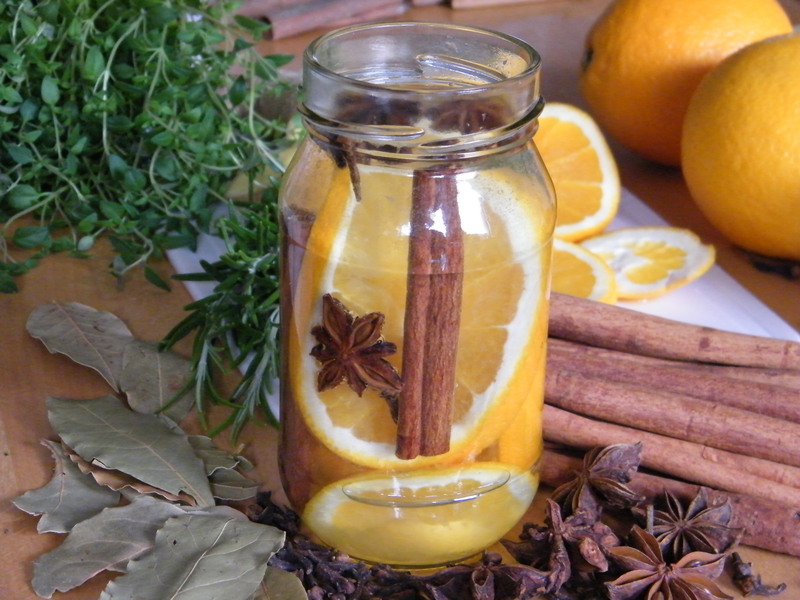 For a winter warmer add a drop or two of vanilla extract, a few allspice berries or a few slices of ginger root. Many fragrant ingredients also have aromatherapy properties, so for a reviving mojito–inspired pick-me-up try lime and mint. 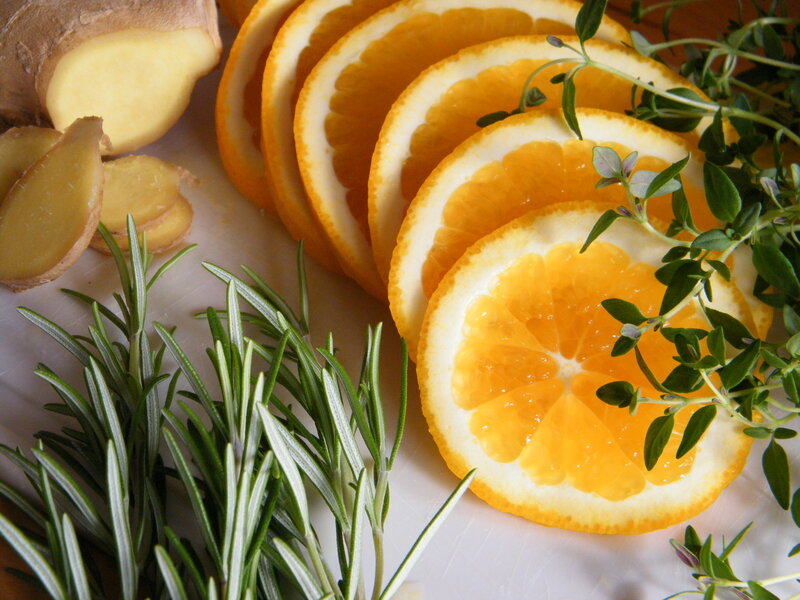 Or for mental focus, try lemon and rosemary. Do experiment with other herbs such as thyme, relaxing lavender buds and bay leaves, and powdered spices from the store cupboard. Try adding a drop or two of your favourite essential oils. Simply place all the ingredients in the saucepan and bring to the boil, then simmer gently over a low heat for a continuous waft of Christmas around your home. 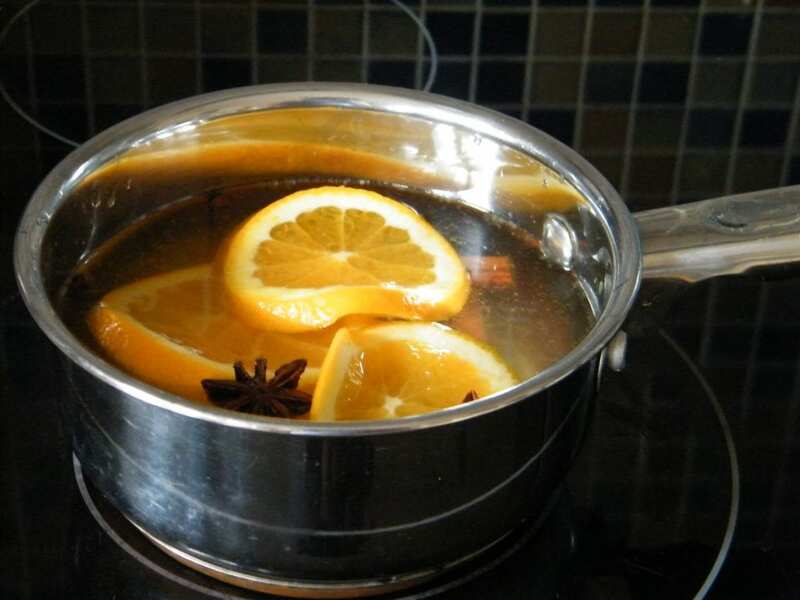 Make sure you keep the water topped up, to prevent the Christmas home fragrance mixture from boiling dry. To use away from the kitchen, why not try and find that fondue set at the back of the cupboard! These often come with a nightlight underneath. Bring the mixture to the boil in the saucepan, then transfer to the fondue set wherever you want it and light the tealight to keep the mixture warm, but again, do not let it dry out. For a modern twist while you’re working – buy a USB mug warmer and place a mug of the hot mixture near your computer to lift your spirits as you work. These are very cheap little heated coasters which plug directly into your computer. Once you have finished with your Christmas simmering fragrance for the day, cool and place in a sealed container such as a jam jar in the fridge for a few days to be used again. The visual appearance may deteriorate, but you can re-use the mixture a few times. [Caution – never leave burning candles unattended]. 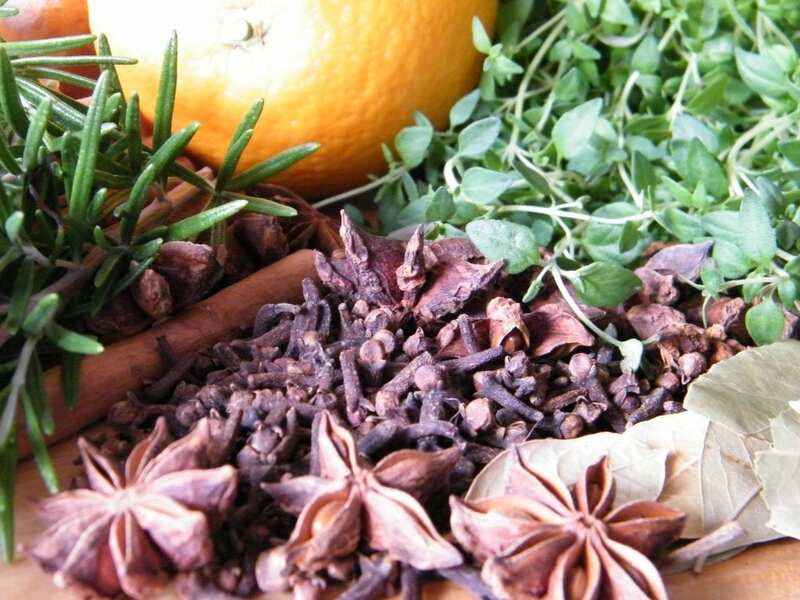 A version of this article about natural Christmas home fragrance first appeared in Herbs, the journal of the Herb Society, December 2016.